We are back with yet another amazing freebie that's a perfect fit for your business needs. Today's deal brings you a free responsive WordPress theme specially designed for a home remodeling business. Perfect grid to display the home remodeling pictures. Unlimited levels of drop down menus. Easy options framework based on blackbird. Tons of easy to use options for customization. 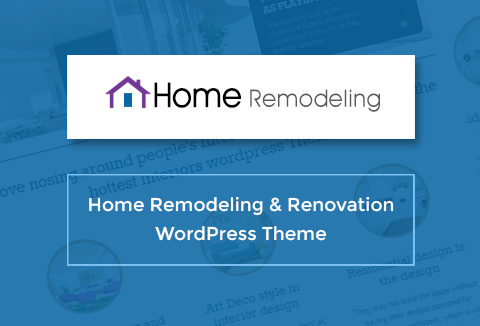 Note – Home Remodeling WordPress Theme is based on Blackbird layout. You can use it to create a home remodeling business website of yourself and of your clients also. The theme comes with a developer license, You can customize the theme according to your requirements. You can use the theme on multiple domains, No restrictions. This is the Premium theme of InkThemes which is Free for today. You can browse InkThemes Best WordPress Themes Library for more information.